It's been awhile since I have entered an I Heart Faces challenge. Actually it's been awhile since I have blogged. No excuses other than life. But enough about me, let's talk about me! 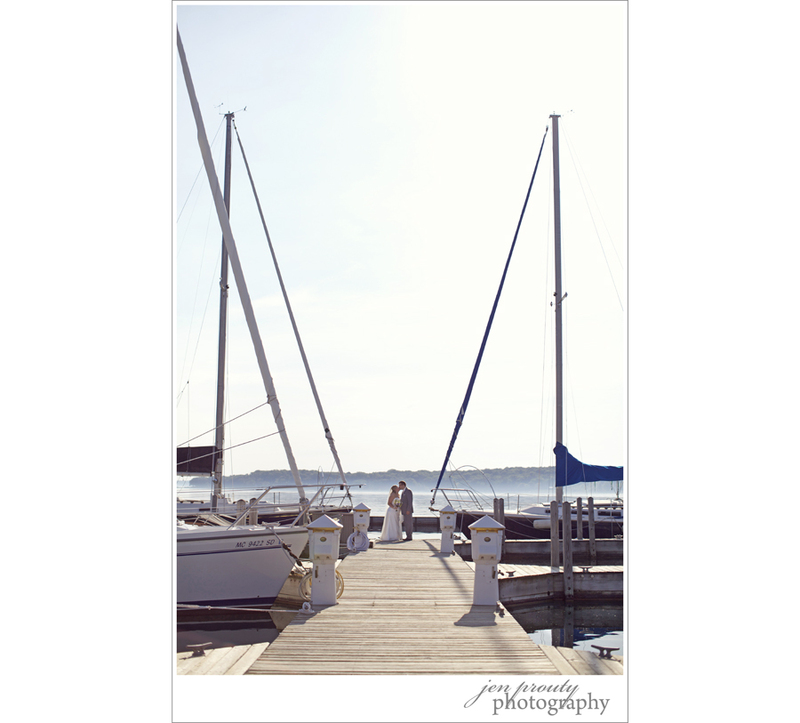 :) My entry this week for the distance challenge was taken this weekend at a beautiful wedding at The Boathouse in Traverse City, Michigan. Bree + Bill. I just LOVE their LOVE. We took some pictures on the dock and to be honest, the sun was a bit harsh at the moment and I was contemplating my next move to work with the light. I told them to head to the end and just be. Be in love. I hung back to survey the scene and then I saw it. The beautiful symmetry of the two towering masts. Both directly pointing down and highlighting the two perfectly. And then. They kissed. And I snapped. And then I did a giddy little dance that I sometimes do when I get a shot that I. just. love. Be sure to check out the other fun entries at I Heart Faces! OH, I love this one!! Ah! I love this shot! :) SO perfect! love how the dock leads to them; the masts point to them!